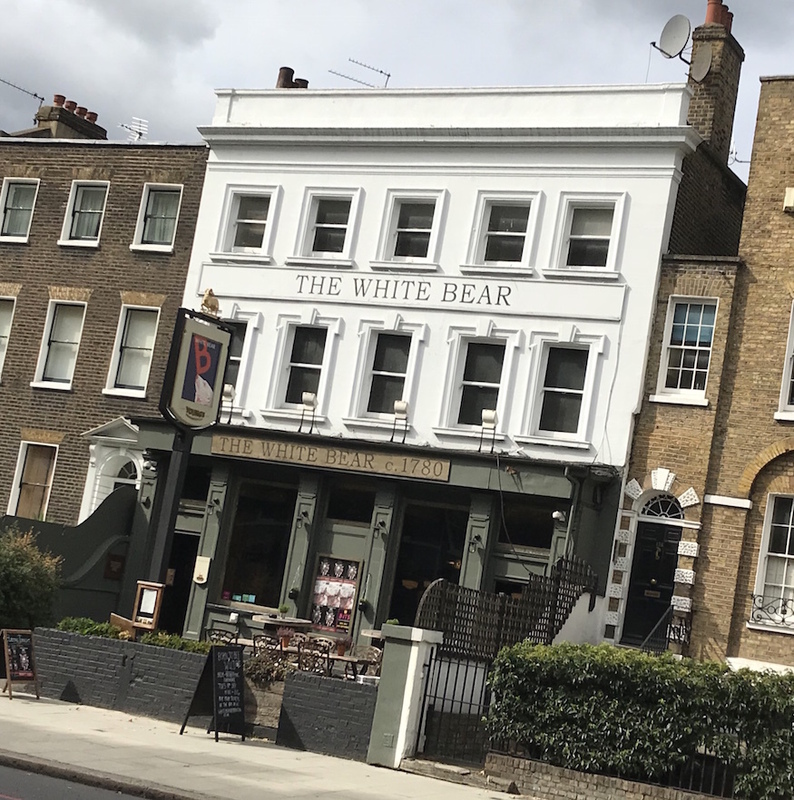 The White Bear stretches so far back from the road that you might want to bring a bicycle just to get from the bar to the beer garden. It's epic. And very handsomely presented, too. 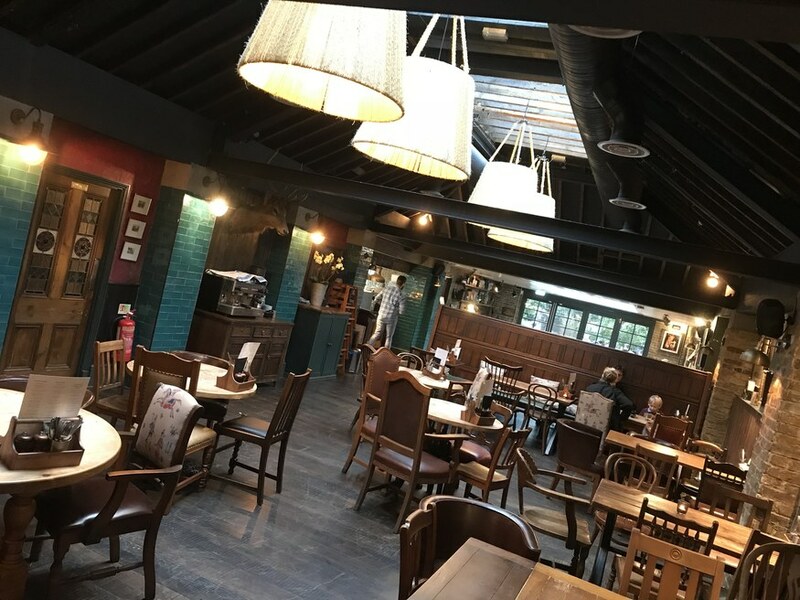 Not so long ago, this was a somewhat tumbledown pub, with an unspoken partition between the regulars and those visiting the fringe theatre upstairs. Then, Young's took over and gave the place one hell of a scrubbing up. They've done a good job. The place is a quarter of a millennium old, and seems to inhabit all those centuries at once. Touches of Victoriana and Georgian elegance intermingle with glazed tiles and exposed brickwork. 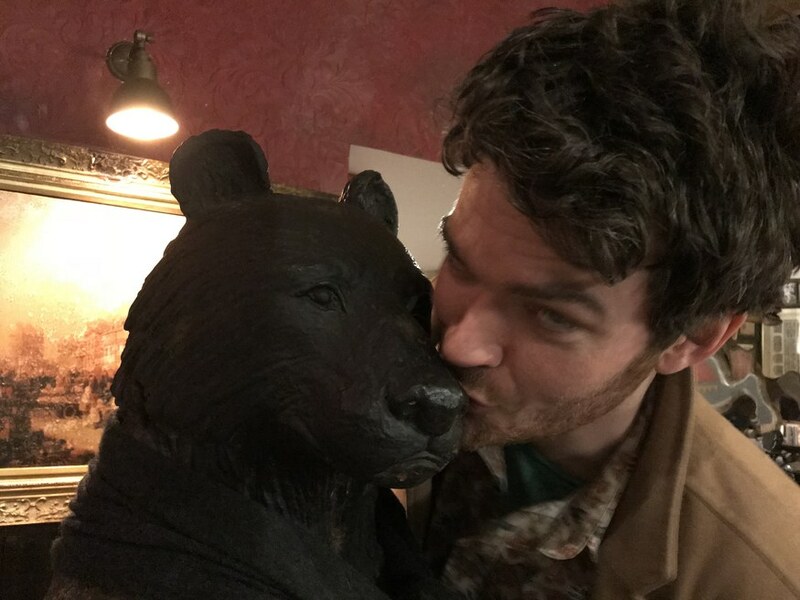 Oddball furnishings are everywhere, including a macabre merry-go-round horse and a contrarian black bear, seen here cavorting with a well known historian and occasional TV presenter. 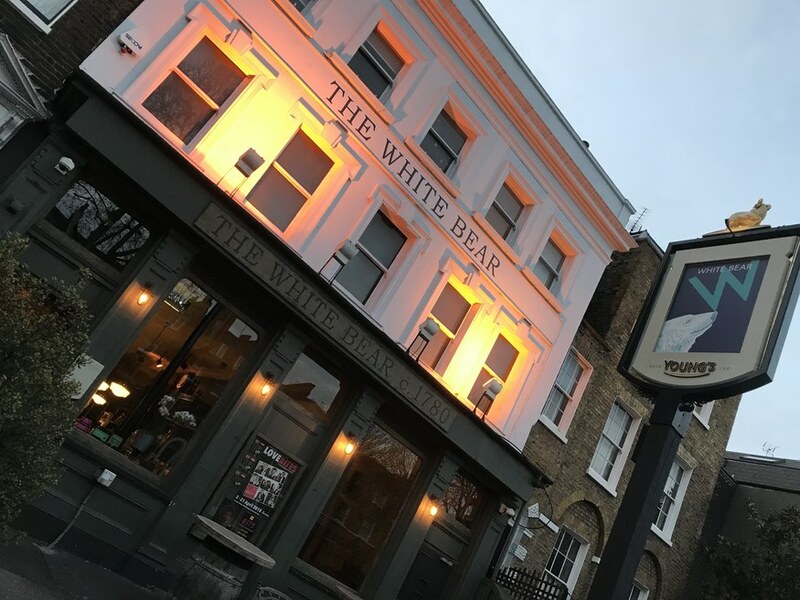 We didn't dine, but former Londonista and local resident Ben Norum reckons the place does 'top pub grub, but not elevated to gastro fare'. Which is a good thing. Draught ales are mostly from Young's, though there are other options on keg and in bottles. All in all, the best thing on Kennington Park Road that isn't Kennington Park. Quiz night is Wednesday. On Twitter as @SE11WhiteBear, on Facebook. On Instagram.